You are a unique person with unique eyes. When it comes to contact lenses, there’s no such thing as one-size-fits-all. Some of our patients are simple to fit with lenses, while others may have a more challenging eye condition that’s hard-to-fit, such as keratoconus.  At YESnick Vision Center, we have plenty of first-rate experience and patience, and we’ll work with you to determine the best contacts for your eyes. A complete range of specialty lenses for hard-to-fit eyes is available in our Las Vegas clinic. Have you been told you're not a good candidate for contacts or that you'll never be able to wear contact lenses? Give us a call to get started with a thorough, professional eye exam for contact lenses! 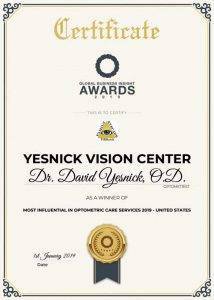 To make an accurate and detailed diagnosis, Dr. David Yesnick will examine your eyes closely in our Las Vegas office. This is the only reliable way to identify your personal requirements for fitting contact lenses perfectly. Once your hard-to-fit condition is diagnosed, we’ll recommend the best specialty contact lenses. Keratoconus is a relatively uncommon condition characterized by a thinning cornea. Instead of a normal rounded shape, the cornea bulges into a cone. Light isn’t reflected correctly by the eye, and distorted vision generally results. Keratoconus usually develops slowly and can appear in either one or both eyes. Dr. Yesnick is skilled at treating keratoconus with contact lenses. As they span the entire cornea, a smooth and rounded substitute replaces the irregular cone-shaped cornea. Scleral lenses, for example, are larger in diameter, resting on the sclera instead of the cornea. The rigid material may also prevent or slow further progression of keratoconus. Fitting these hard lenses is complex, and a series of visits to our Las Vegas clinic may be necessary to fine-tune the prescription. These specialized lenses combine the best of two worlds – they are designed with a hard oxygen-permeable center zone that’s surrounded by a soft rim. You’ll enjoy the acute vision of a gas permeable lens along with the benefits of an ultra-comfortable soft lens. By wearing a soft contact lens directly on your eye, followed by a hard lens, some keratoconus patients enjoy the comfort of a cushion under the hard contact lens. If you have keratoconus or a different hard-to-fit ocular condition, please schedule an appointment with Dr. Yesnick! New materials and advanced technology have led to a wide range of new contact lens options, and we stock them in our Las Vegas clinic. How Do I Book an Eye Exam for Hard To Fit Contact Lenses? 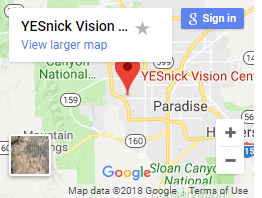 At YESnick Vision Center, we believe there is a contact lens out there for everyone – and Dr. Yesnick will help you find it. Serving Las Vegas, Spring Valley and Summerlin, Nevada, we look forward to fitting you with the perfect contact lenses! Ask about our Scleral Lenses!